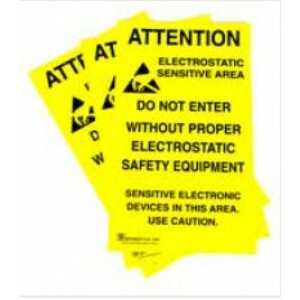 Bright yellow 11″x17″ self adhesive static awareness poster. Large black print lets employees know they are in a electrostatic sensitive area. 5 posters per package.